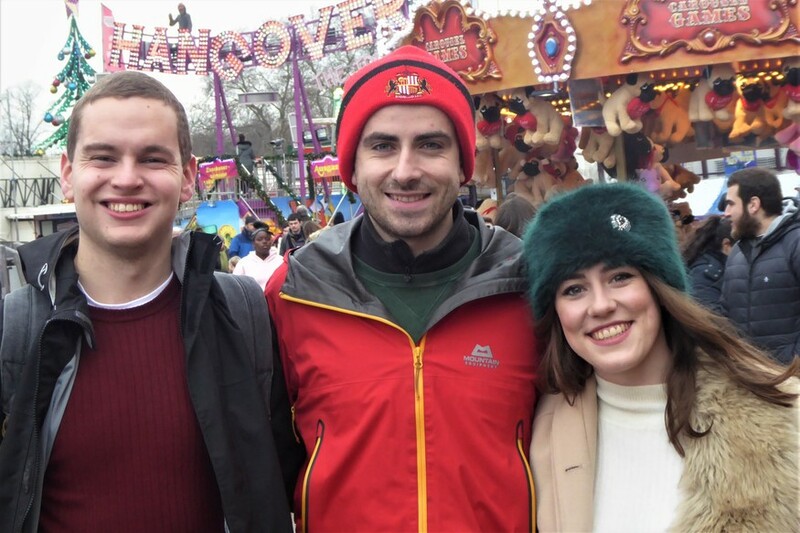 James FitzGerald Why The Hell Do People Go To Winter Wonderland? It's the 25th of November — Christmastime. Already, Hyde Park is twinkling with the torches of men conducting bag searches; is jingling with the bells of strength-tester games; is stuffed full of every kind of food you can imagine. 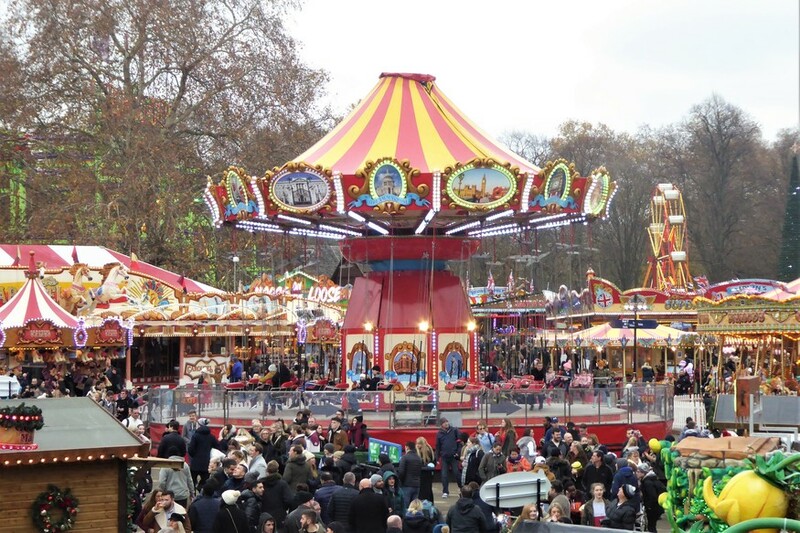 Yes, we’re walking in London’s annual Winter Wonderland™. If you’ve never been: this place has everything you’ve ever wished for — and everything you haven’t. 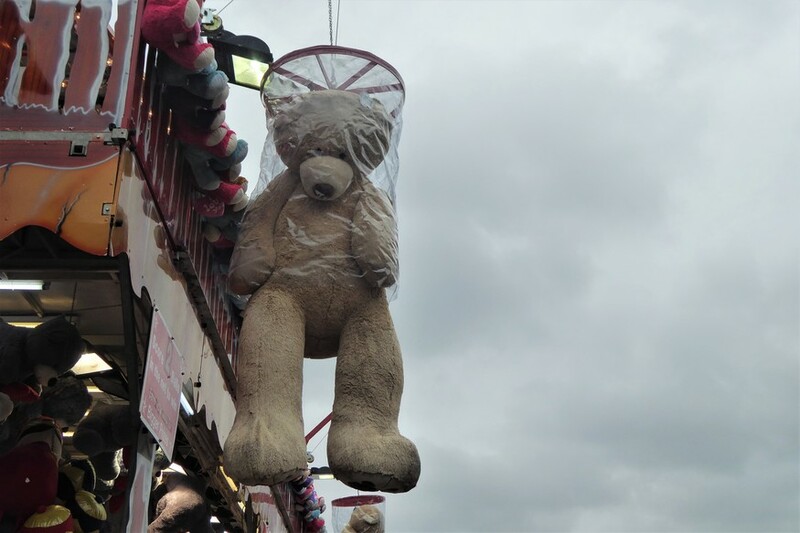 From rollercoaster rides to circus acts, all the fun of the fair is here, along with a dizzying array of shopping and eating. And if you can dream it, you can do it here with ice: skate on it, sculpt with it, drink in a bar that's made out of it. Entry is free; everything beyond the door will cost you. What you’re guaranteed to get whenever you do come is other people. The attraction says it draws around 3 million visitors each year. It might feel like every last one of them is right there with you. 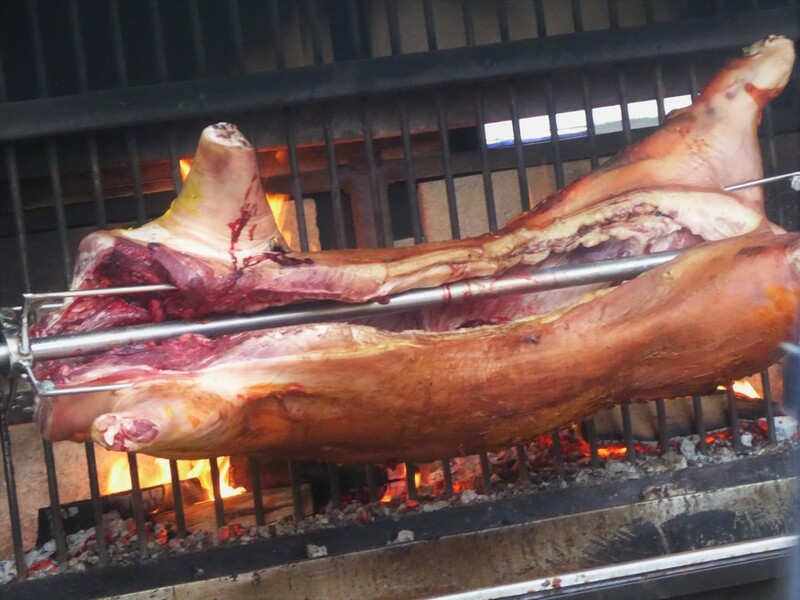 Any bones excavated from underneath the hog-roasting pit would show that a seasonal market has existed at this site since at least 2007. For many, a trip here is a venerable old London tradition: just like taking a trip to the Lego Store, browsing for a square of pizza in the shopfronts along Charing Cross Road, or stepping out on a Sunday afternoon to catch a performance from a levitating Yoda in Covent Garden. 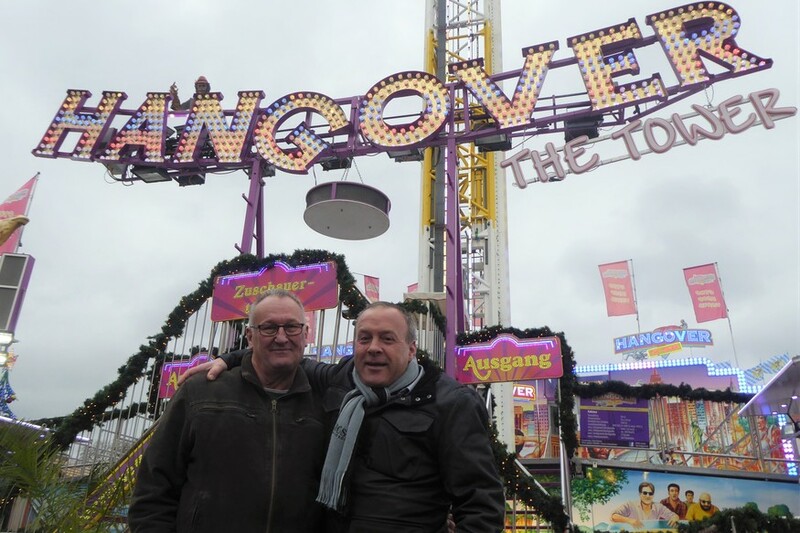 Which is to say that Winter Wonderland absolutely nails that homogenous Euro-tourism vibe. With its toyish pastel-coloured buildings selling mulled wine and trinkets, it's been designed to feel a bit like That Street next to That Cathedral in That Capital City you once visited. It's been designed to feel a bit like That Street next to That Cathedral in That Capital City you once visited. 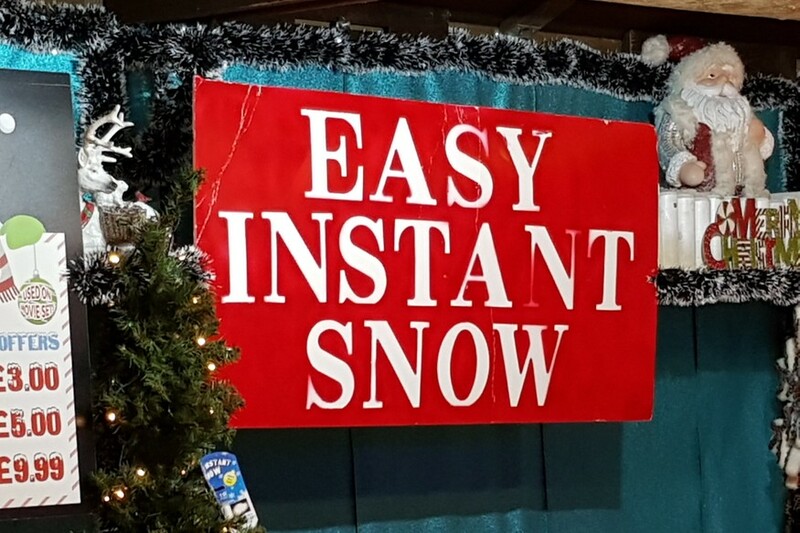 Even Ebenezer Scrooge wouldn't question the popularity of Winter Wonderland. But he might have looked across the enclosure, nervously held his plump Christmas turkey and his bag of pennies a little closer to his chest, and started to wonder if the Ghost of Christmas Future was really quite an evil thing to have one day created such a kitsch rendition of the yuletide. Above all, he might ask: who the Dickens are the three million people who come here? "Who says I have to grow up?" Thankfully we arrive with a good deal less cynicism than the miserly antagonist of A Christmas Carol. And it looks like it's the same for Pauline from Germany. "This is better than any Christmas market I've ever seen," she enthuses. "It’s just like Oktoberfest, but this has got rollercoasters." And so we head for the rides. £6 buys you the chance to be jolted around the Eurocoaster, and with it the chance to see Hyde Park from any nauseating angle you can imagine. "I found it awful it was so scary it sounded a bit rocky it was fun," Lily from Torquay tells us in one post-ride breath. There's even more hype around Dr Archibald: Master of Time, a virtual-reality ride. It hurtles you over blind precipices while a commentary chatters away in your ear. The goggles offer something akin to an acid-filled journey through a Pink Floyd album. 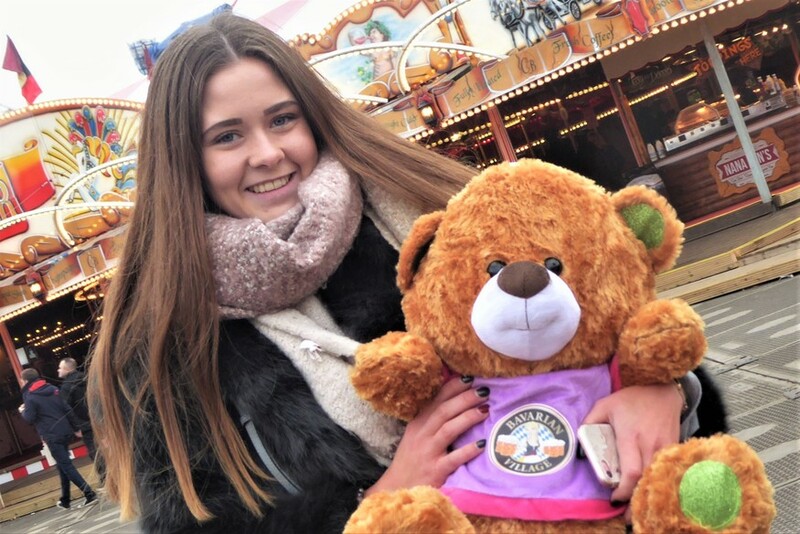 At £9 a pop, we think it poor value, but Allie had the time of her life: "I’m 50 next year. Who says I’ve got to grow up?" 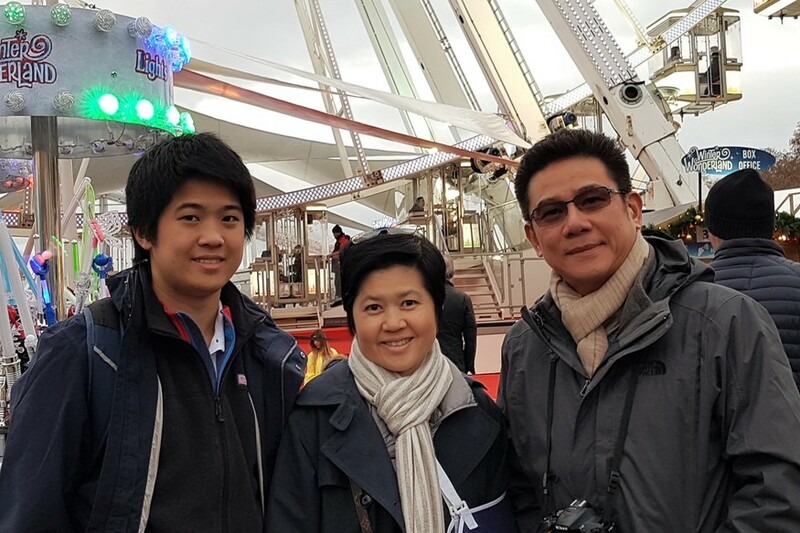 Suchin, from Thailand, hasn't quite rediscovered his own sense of childhood wonder yet. "It's fine," he says of the place. Does he like the rides? "I’m too old for the rides." If you ever craved an attraction named after the Hangover trilogy (2009-2013), your Christmas wishes have come true, for here is a detonator-style ride inspired by the films. Dave and Mitch clamber off it, and we fear their faces may never return to normal again. "It was incredible," they say, eyebrows frozen on high. The guys come down from the Midlands every year with their wives and friends. "It's a good excuse for a piss-up," explains Mitch. Lunchtime. 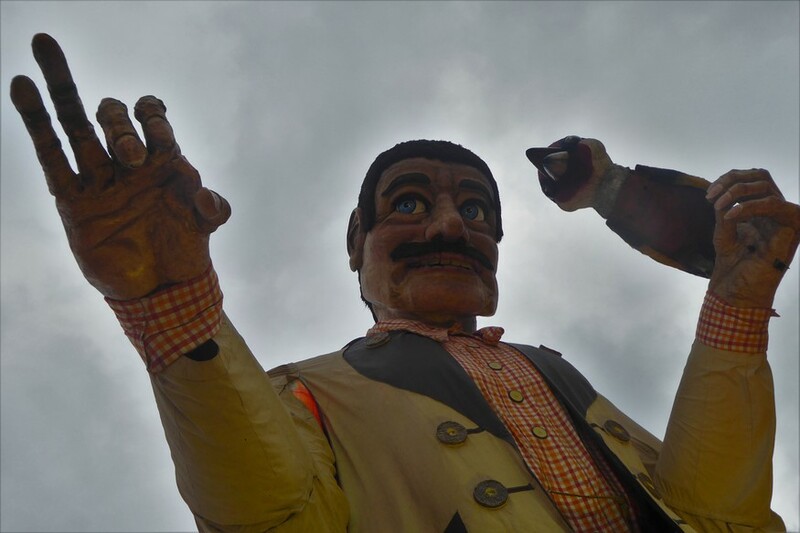 Buffeted by competing loudspeakers firing out chart music, and under the watchful gaze of what looks suspiciously like a giant animatronic statue of the Venezuelan president, we buy ourselves a juicy hot dog. £8 for a stack of batter is an affront even in London. 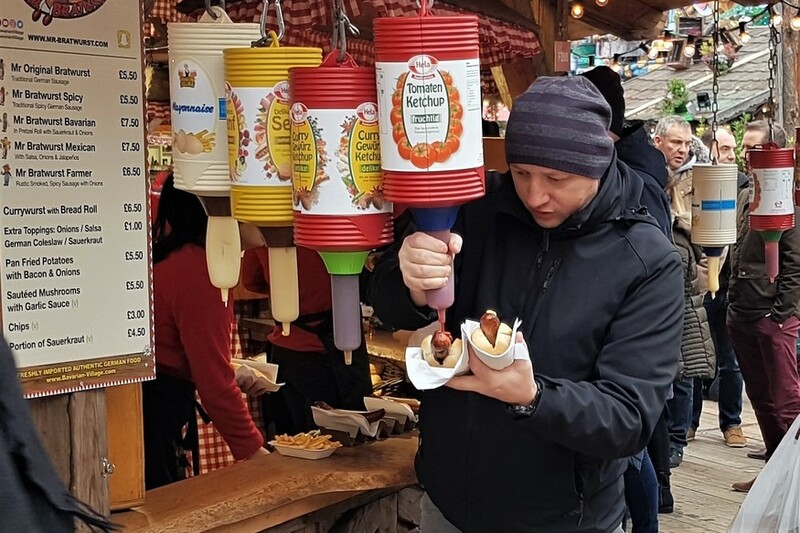 This is no ordinary hot dog, but an 'Old English Hot Dog': the kind Anglo Saxons might have munched in their longhouses. The hanging udders of tomato ketchup probably came later - circa 16th century. Faux-antiquity is the bricks-and-mortar of any Christmas market. In this rosy view of the Middle Ages, there were never any plagues, beheadings, or rampant gender inequality — only lanes of cute hovels in which whistling artisans made dreamcatchers and drank lots of mead. 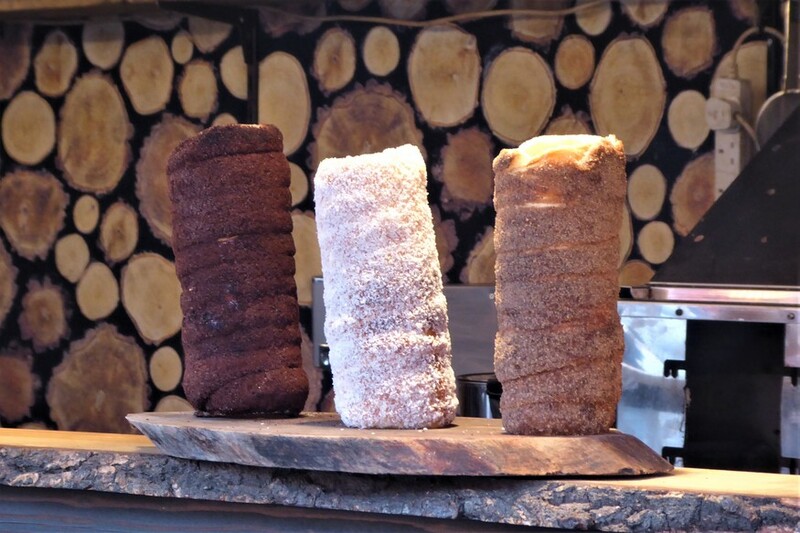 The hot dog (decent) is followed by a so-called Hungarian 'chimney cake'. Once again, we can't vouch for its authenticity, though its nourishing qualities on a cold autumn’s day are undoubtable. Then again: it's also a rip-off. £8 for a stack of batter is an affront even in London. A wise man said that there is no love sincerer than the love of food. 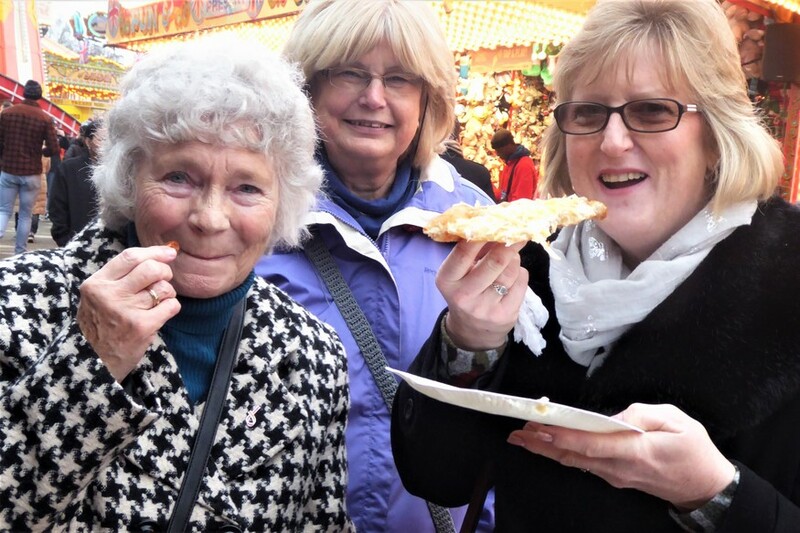 But here at Winter Wonderland, the food is capable of provoking strong emotions of all sorts. We find some ladies who are lunching. Ann calls her meal delicious. "But I don't like the thought of them handling the money with the same hands as the food. Having gloves on makes no difference." Would you pay £8 for one? Meanwhile, Lyn feels that Winter Wonderland has shifted from a craft fair in 2007 into what is now effectively a theme park. And June finds it tacky: "Years ago, people used to go shopping on Christmas Eve, not a month before. Everything starts too early. That’s what makes the years go so quick." But a young girl called Yaxandry says it's never too early to start thinking about Christmas. "People go on holiday soon and then they're not around.” She, her mum, and her sister are full of belly after a festive banquet. "The pretzels are too expensive, but the mini-pancakes are okay," says mum. While one person could easily burn through £50 here in one hour, it's also true to say that just a few quid buys one of the best fancy hot chocolates around: wobbling with cream and marshmallows, and not too hot. Only by hunting down such bargains could many families, surely, afford a trip to Wonderland. But in - in! in! in! - those pushchairs come, and by mid-afternoon, the place is full. To the games-operators, these are slow-moving turkeys with fat purses and wallets ready for slaughter. But one or two sceptical dads are in the crowd, silently assessing angles and making measurements at the coconut shies, hoopla, and shooting galleries before parting with any cash. 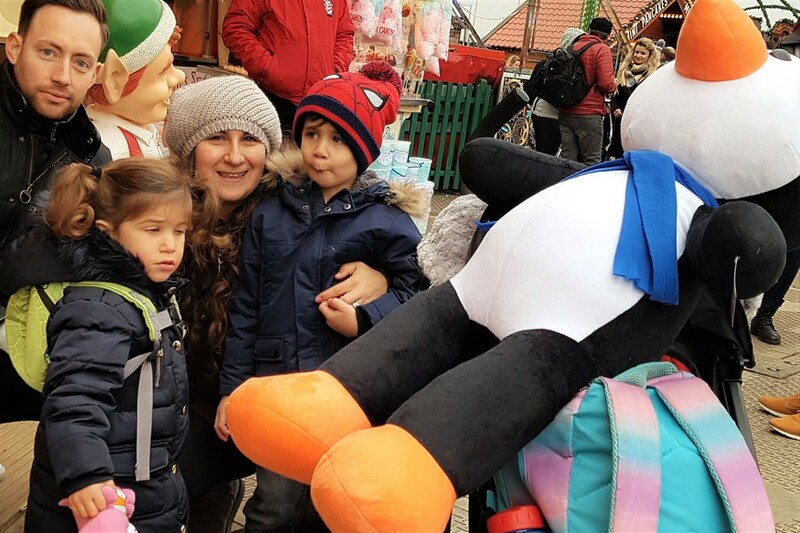 In Joel, we find a shrewd dad who's won a giant cuddly penguin. 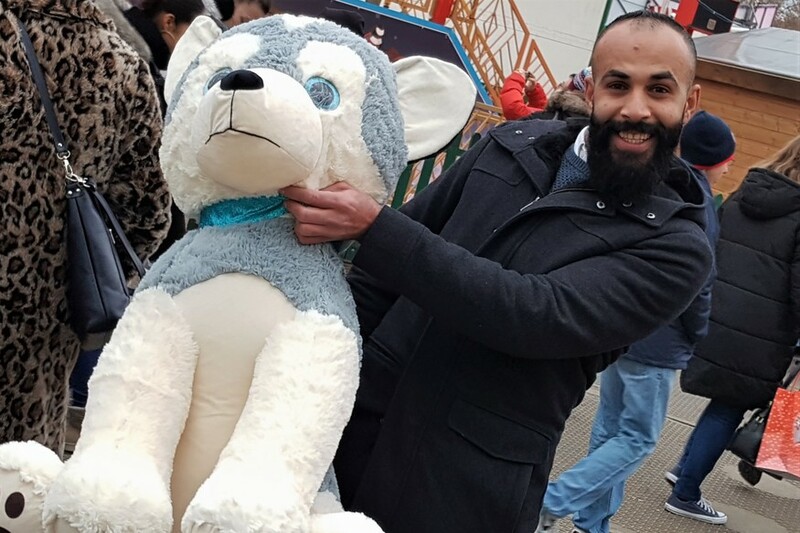 We ask whether bringing four people to Winter Wonderland might bring him to financial ruin. "It is a bit overpriced" he admits. 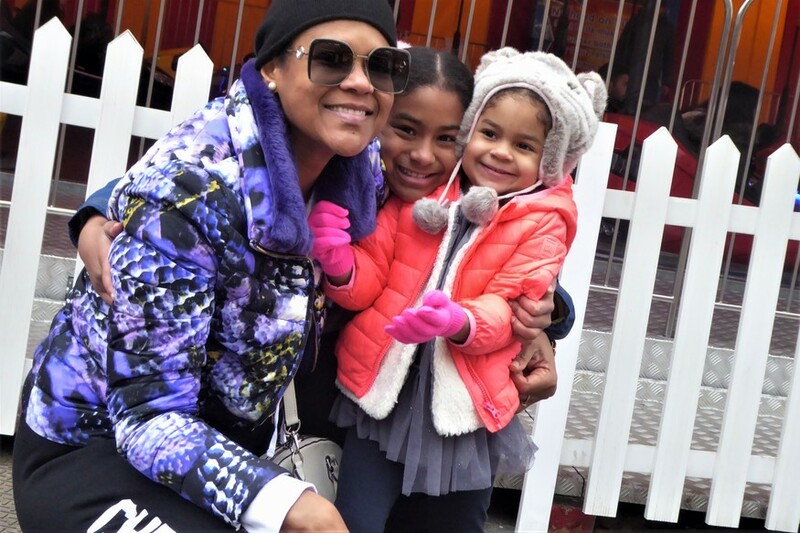 "Lunch, the rides, and everything else do add up. But it is worth it. There’s lots for the kids to do." "I had chips for lunch," grins his son, Lucas. "You don't have to celebrate Christmas to have fun"
Everyone takes away something a bit different from Winter Wonderland. 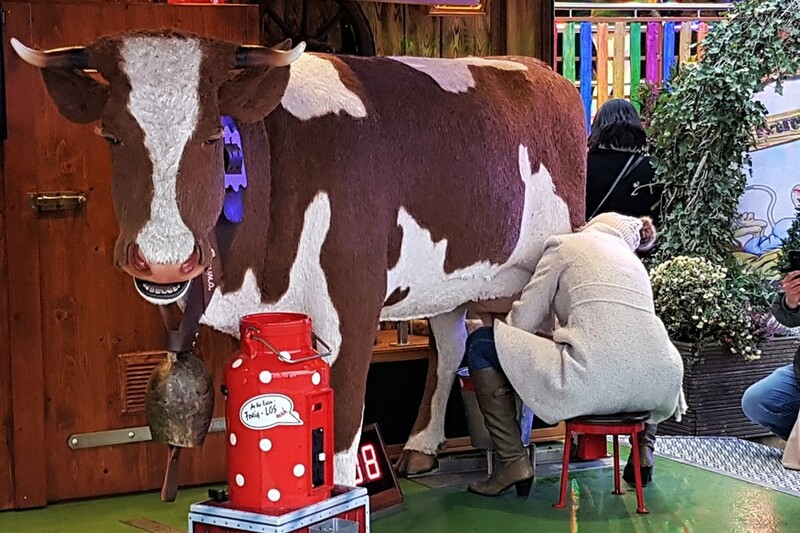 Whether it's watching a Teletubbies show, a chance to competitively milk model cows, or simply Bavarian-style boozing in a big shed — every imaginable entertainment is on offer. There's legitimate cause for hosting a Winter Olympics here, thanks to the availability of curling, skating, and other games. As Winter Wonderland's secular name makes perfectly clear, the linkage with Christmas is purely in your head. There's something here for Londoners of all faiths — and none — provided they’ll pay for it. "We don’t celebrate Christmas," says Heda, who's here with Ahmed. "But you don’t have to. We just like the festivities. It's very joyful." "I’m coming here because of her," says Ahmed, still in a post-rollercoaster daze. Winter Wonderland does not just try to be inclusive; there is hardly a single culture that is not appropriated in this great shrine to globalisation. We retreat to the tepee bar (which is just next to the Chinese takeaway pagoda) as the evening wears on, and the kids make way for the grown-ups. Inside are couples canoodling by the fireside, and the tell-tale green visors of a pub golf-themed hen do. The ladies in question summarise for us exactly when and why to come to Winter Wonderland. This isn't really Christmas. Fairy lights can be put up all year round. 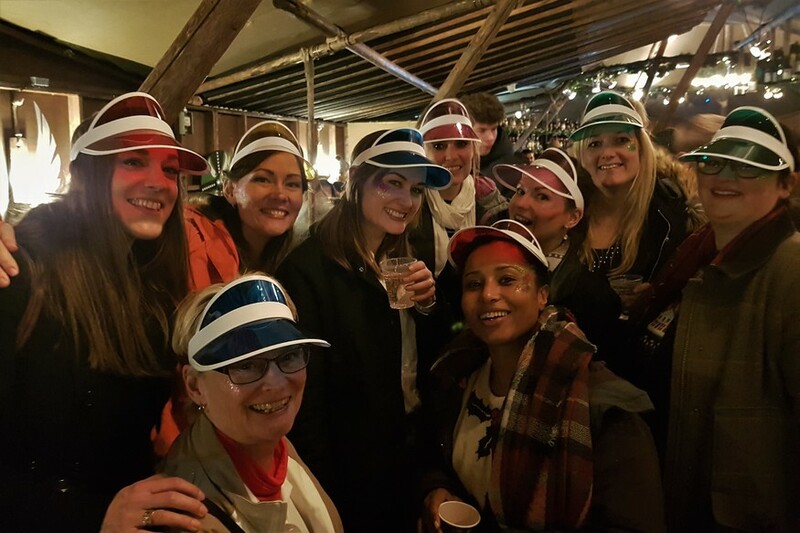 Over a mulled wine which has been mistakenly made with salt instead of sugar, Robyn, the bride-to-be, tells us that there's no point fighting the cheesy mirth. "Yes, Christmas would be more fun and special if it was condensed, but this isn't really Christmas. Fairy lights can be put up all year round." Her sister agrees that it's possible to love the place in spite of yourself. "I'm a bit agoraphobic so I struggle with a lot of people in small places," she tells us. "However, you come here because you want a bit of an atmosphere. I'm haemorrhaging cash. But the atmosphere is good, right?" Laughter and the smell of all things caramelised fills the cold air. By now, all unbelievers have vanished to a nearby Wetherspoon, to sink pints with the Grinch. "Have I managed to cast off my cynicism? Yeah, I have," says Jake, here with friends Pascal and Marianna. "I still find shops having Christmas decorations up in mid-October to be kind of strange but with this thing I think it kind of works." "It's a way to get everyone together," adds Marianna. "Closer to Christmas it would be harder." 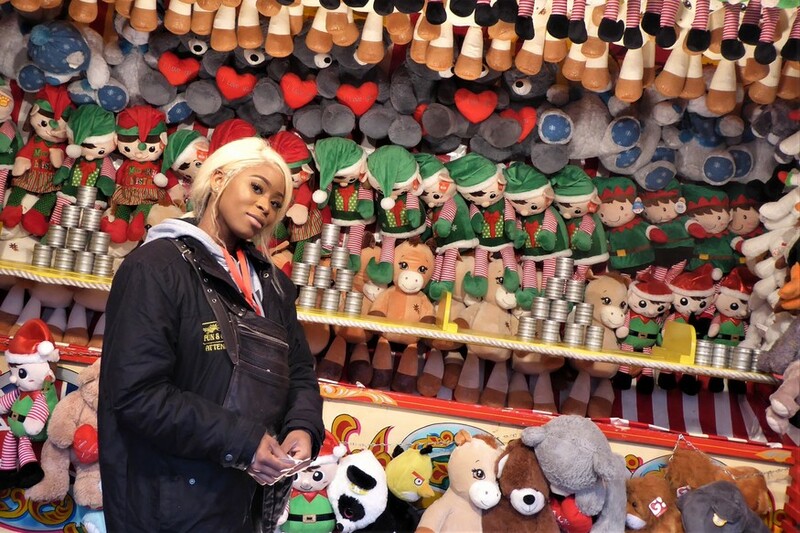 We went to Winter Wonderland and all we found were people living their best lives. If seasonal festivities can't come early enough for you, you'll love it. If the commercialisation of Christmas rankles, you'll never go in the first place. If you're on the fence, you might just find what David from Lincolnshire did: "It's a hell of a lot better than expected, and quite good... for a fair". Medicate yourself with enough booze or sugar and just about anything can feel magical after a time.